For other uses, see Lord Chancellor (disambiguation). Not to be confused with the Chancellor of the Exchequer. The Lord Chancellor, formally the Lord High Chancellor of Great Britain, is the highest ranking among those Great Officers of State which are appointed regularly in the United Kingdom, nominally outranking even the Prime Minister. The Lord Chancellor is outranked only by the Lord High Steward, another Great Officer of State, who is appointed only for the day of coronations. The Lord Chancellor is appointed by the Sovereign on the advice of the Prime Minister. Prior to the Union there were separate Lord Chancellors for England and Wales, for Scotland and for Ireland. The Lord Chancellor is a member of the Cabinet and, by law, is responsible for the efficient functioning and independence of the courts. In 2007, there were a number of changes to the legal system and to the office of the Lord Chancellor. Formerly, the Lord Chancellor was also the presiding officer of the House of Lords, the head of the judiciary in England and Wales and the presiding judge of the Chancery Division of the High Court of Justice, but the Constitutional Reform Act 2005 transferred these roles to the Lord Speaker, the Lord Chief Justice and the Chancellor of the High Court respectively. 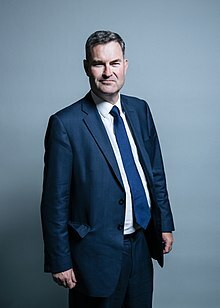 The current Lord Chancellor is David Gauke, who is also Secretary of State for Justice. One of the Lord Chancellor's responsibilities is to act as the custodian of the Great Seal of the Realm, kept historically in the Lord Chancellor's Purse. A Lord Keeper of the Great Seal may be appointed instead of a Lord Chancellor. The two offices entail exactly the same duties; the only distinction is in the mode of appointment. Furthermore, the office of Lord Chancellor may be exercised by a committee of individuals known as Lords Commissioners of the Great Seal, usually when there is a delay between an outgoing Chancellor and their replacement. The seal is then said to be "in commission". Since the 19th century, however, only Lord Chancellors have been appointed, the other offices having fallen into disuse. The office of Lord Chancellor of England may trace its origins to the Carolingian monarchy, in which a Chancellor acted as the keeper of the royal seal. In England, the office dates at least as far back as the Norman Conquest (1066), and possibly earlier. Some give the first Chancellor of England as Angmendus, in 605. Other sources suggest that the first to appoint a Chancellor was Edward the Confessor, who is said to have adopted the practice of sealing documents instead of personally signing them. A clerk of Edward's, Regenbald, was named "chancellor" in some documents from Edward's reign. In any event, the office has been continuously occupied since the Norman Conquest. The staff of the growing office became separate from the king's household under Henry III and in the 14th century located in Chancery Lane. The chancellor headed the writing office or chancery. Formerly, the Lord Chancellor was almost always a churchman, as during the Middle Ages the clergy were amongst the few literate men of the realm. The Lord Chancellor performed multiple functions—he was the Keeper of the Great Seal, the chief royal chaplain, and adviser in both spiritual and temporal matters. Thus, the position emerged as one of the most important ones in government. He was only outranked in government by the Justiciar (now obsolete). Sir Thomas More, one of the most famous early Lord Chancellors of England, served and was executed under King Henry VIII. As one of the King's ministers, the Lord Chancellor attended the curia regis or Royal Court. If a bishop, the Lord Chancellor received a writ of summons; if an ecclesiastic of a lower degree or, if a layman, he attended without any summons. The curia regis would later evolve into Parliament, the Lord Chancellor becoming the prolocutor of its upper house, the House of Lords. As was confirmed by a statute passed during the reign of Henry VIII, a Lord Chancellor could preside over the House of Lords even if not a Lord himself. The Lord Chancellor's judicial duties also evolved through his role in the curia regis. Petitions for justice were normally addressed to the King and the curia, but in 1280, Edward I instructed his justices to examine and deal with petitions themselves as the Court of King's Bench. Important petitions were to be sent to the Lord Chancellor for his decision; the more significant of these were also to be brought to the King's attention. By the reign of Edward III, this chancellery function developed into a separate tribunal for the Lord Chancellor. In this body, which became known as the High Court of Chancery, the Lord Chancellor would determine cases according to fairness (or "equity") instead of according to the strict principles of common law. The Lord Chancellor also became known as the "Keeper of the King's Conscience." Churchmen continued to dominate the Chancellorship until the 16th century. In 1529, after Cardinal Thomas Wolsey, who was Lord Chancellor and Archbishop of York, was dismissed for failing to procure the annulment of Henry VIII's first marriage, laymen tended to be more favoured for appointment to the office. Ecclesiastics made a brief return during the reign of Mary I, but thereafter, almost all Lord Chancellors have been laymen. Anthony Ashley Cooper, 1st Earl of Shaftesbury (1672–73) was the last Lord Chancellor who was not a lawyer, until the appointment of Chris Grayling in 2012. The three subsequent holders of the position, Michael Gove (2015–16), Elizabeth Truss (2016–2017) and David Lidington (2017-2018) are also not lawyers. However, the appointment of David Gauke in January 2018 meant that once again the Lord Chancellor was a lawyer. Formerly, when the office was held by ecclesiastics, a "Keeper of the Great Seal" acted in the Lord Chancellor's absence. Keepers were also appointed when the office of Lord Chancellor fell vacant, and discharged the duties of the office until an appropriate replacement could be found. When Elizabeth I became queen, Parliament passed an Act providing that a Lord Keeper of the Great Seal would be entitled to "like place, pre-eminence, jurisdiction, execution of laws, and all other customs, commodities, and advantages" as a Lord Chancellor. The only difference between the two offices is the mode of appointment—a Lord Chancellor is appointed by formal letters patent, but a Lord Keeper is appointed by the delivery of the Great Seal into their custody. Formerly, it was customary to appoint commoners to the office of Lord Keeper, and peers to the office of Lord Chancellor. A Lord Keeper who acquired a peerage dignity would subsequently be appointed Lord Chancellor. The last Lord Keeper was Robert Henley, who was created a Baron in 1760 and was appointed Lord Chancellor in 1761. Since then, commoners as well as peers have been appointed to the post of Lord Chancellor; however, until the 21st-century changes to the office, a commoner would normally have been created a peer shortly after appointment. It is also possible to put the office of Lord Chancellor into commission (that is to say, to entrust the office to a group of individuals rather than a single person). The individuals who exercise the office become known as "Lords Commissioners of the Great Seal." Lords Commissioners of the Great Seal have not been appointed since 1850. Formerly, there were separate Chancellors of England, Scotland and Ireland. When the Kingdom of England and the Kingdom of Scotland united to form the Kingdom of Great Britain under the Act of Union 1707 the offices of the Chancellor of England and the Lord Chancellor of Scotland were combined to form a single office of Lord Chancellor for the new state. Similar provision was not made when Great Britain and Ireland merged into the United Kingdom under the Act of Union 1800. Thus, the separate office of Lord Chancellor of Ireland continued to exist until the formation of the Irish Free State in 1922. The office of Lord Chancellor of Ireland was abolished, and its duties transferred to the Governor of Northern Ireland, and later the Secretary of State for Northern Ireland. Thus, the Lord Chancellor remains "Lord High Chancellor of Great Britain", and not "Lord High Chancellor of the United Kingdom." The Lord Chancellor used to be the presiding officer of the House of Lords by right of prescription. The Constitutional Reform Act 2005 removed this function, leaving the choice of a presiding officer to the House of Lords itself. Ultimately, the Lords chose to elect a Lord Speaker, which title was already used in the Standing Orders. Whenever the Sovereign appoints Lords Commissioners to perform certain actions on his or her behalf (for example, to formally declare in Parliament that the Royal Assent has been granted, or to prorogue or dissolve Parliament), the Lord Chancellor usually serves as the principal or senior Lord Commissioner. The other Lords Commissioners, by convention, are members of the House of Lords who are Privy Counsellors (generally the leaders of the three main parties and the Convenor of the Crossbenches). In this role the Lord Chancellor wears Parliamentary Robes—a full-length scarlet wool gown decorated with miniver fur. The Lord Chancellor wears a tricorne hat, but the other Lords Commissioners wear bicorne hats. During the period that Jack Straw, an MP, was Lord Chancellor, he was officially named as one of the Lords Commissioners, but did not take part in the formal ceremonies of granting Royal Assent and proroguing Parliament. The Lord Speaker has been appointed a Lord Commissioner and does take part in the ceremonies. The role of principal Lord Commissioner during this period has been taken by the Leader of the House of Lords. (There was only one exception: when John Bercow was presented for Royal Approbation for the office of Speaker of the House of Commons in 2009, Straw was the principal Lord Commissioner, and the Lord Speaker was not in the Commission.) This precedent has continued since then. It is unclear how these arrangements would change if a future Lord Chancellor were appointed from the House of Lords. The Lord Chancellor is a member of the Privy Council and of the Cabinet. The office the Lord Chancellor heads was known as the Lord Chancellor's Office between 1885 and 1971 and the Lord Chancellor's Department between 1971 and 2003. In 2003 the Department was renamed the Department for Constitutional Affairs and the Lord Chancellor was appointed Secretary of State for Constitutional Affairs. In 2007 this post was renamed Secretary of State for Justice and the department became the Ministry of Justice. The Department headed by the Lord Chancellor has many responsibilities, such as the administration of the courts. Furthermore, the Lord Chancellor has a role in appointing many judges in the courts of England and Wales. Senior judges (Justices of the Supreme Court of the United Kingdom, Lords Justices of Appeal and the Heads of the Divisions of the High Court) are officially appointed by the Sovereign on the advice of the Lord Chancellor, but since 2005 the Lord Chancellor has been advised by an independent Judicial Appointments Commission and can only choose whether to accept or reject its recommendations. Similarly the Lord Chancellor no longer determines which barristers are to be raised to the rank of Queen's Counsel but merely supervises the process of selection by an independent panel. Custody of the Great Seal of the Realm is entrusted to the Lord Chancellor. Documents to which the Great Seal is affixed include letters patent, writs and royal proclamations. The sealing is actually performed under the supervision of the Clerk of the Crown in Chancery (who holds the additional office of Permanent Secretary to the Lord Chancellor). The Lord Chancellor does not maintain custody of the Great Seal of Scotland (which is kept by the First Minister of Scotland) or of the Great Seal of Northern Ireland (which is kept by the Secretary of State for Northern Ireland). The judicial functions of the Lord Chancellor (as opposed to his role in the administration of the court system) were removed by the Constitutional Reform Act 2005. Formerly, the Lord Chancellor performed several different judicial roles. He sat as a judge in the Appellate Committee of the House of Lords (the highest domestic Court in the United Kingdom), and was a member of the Judicial Committee of the Privy Council (the senior tribunal of the British Empire (except for the United Kingdom) and, latterly, parts of the Commonwealth). He was the President of the Supreme Court of England and Wales, and therefore supervised the Court of Appeal of England and Wales, the High Court of Justice of England and Wales and the Crown Court of England and Wales. He was also, ex officio, a judge in the Court of Appeal and the President of the Chancery Division. In modern times, these judicial functions were exercised very sparingly. The functions in relation to the House of Lords and the Judicial Committee of the Privy Council were usually delegated to the Senior Lord of Appeal in Ordinary. The task of presiding over the Chancery Division was delegated to the Vice-Chancellor, a senior judge (now known as the Chancellor of the High Court). Most Lord Chancellors by the end of the twentieth century gave judgments only in cases reaching the House of Lords. The last Lord Chancellor to preside as a judge was Lord Irvine of Lairg (in office 1997–2003), who did so as a member of the Appellate Committee of the House of Lords. However, concerns were already being expressed, including by the judiciary, at the propriety of a cabinet minister sitting as a professional judge, and his successor, Lord Falconer, never performed such a role, even before his right to do so was abolished. Formerly, when peers had the right to be tried for felonies or for high treason by other peers in the House of Lords (instead of commoners on juries), the Lord High Steward, instead of the Lord Chancellor, would preside. This also occurred in impeachment trials. The office of Lord High Steward has generally remained vacant since 1421. Whenever a peer was to be tried in the House of Lords, a Lord High Steward would be appointed pro hac vice [for this occasion]. In many cases, the Lord Chancellor would merely be elevated to the office of Lord High Steward temporarily. Trials of peers in the House of Lords were abolished in 1948, and impeachment is obsolete, so this is unlikely to occur again. At the beginning of the legal year, the Lord Chancellor officiates at a ceremony in Westminster Abbey in front of all the judges. The ceremony is followed by a reception known as the Lord Chancellor's breakfast which is held in Westminster Hall. Lord Chancellors perform various functions relating to the established Church of England. They appoint clergy in such of the ecclesiastical livings under the patronage of the Crown as are officially listed as being worth less than £20 per annum. Furthermore, they exercise the same prerogative in regard to the less valuable livings in the Duchy of Cornwall when there is no Duke of Cornwall, or when the Duke of Cornwall is a minor. (The heir-apparent to the Crown, if he is the Sovereign's eldest son, is automatically Duke of Cornwall.) Finally, the Lord Chancellor is in some cases the patron of an ecclesiastical living in his own right. In total, the Lord Chancellor appoints clergymen in over four hundred parishes and twelve cathedral canonries. By law, the Lord Chancellor must be consulted before appointments may be made to certain ecclesiastical courts. Judges of Consistory Courts, the Arches Court of Canterbury, the Chancery Court of York and the Court of Ecclesiastical Causes Reserved are appointed only after consultation with the Lord Chancellor. The Lord Chancellor is, ex officio, one of the thirty-three Church Commissioners, who manage the assets of the Church of England. 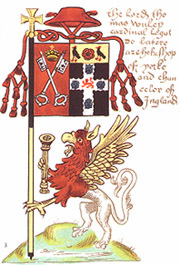 Formerly, Roman Catholics were thought to be ineligible for the office of Lord Chancellor, as the office entailed functions relating to the Church of England. Most legal restrictions on Roman Catholics were lifted by the Catholic Relief Act 1829, which, however, provides, "nothing herein contained shall [...] enable any Person, otherwise than as he is now by Law enabled, to hold or enjoy the Office of Lord High Chancellor, Lord Keeper or Lord Commissioner of the Great Seal". The words "as he is now by Law enabled", however, caused considerable doubt, as it was unclear if Roman Catholics were disqualified from holding the office in the first place. For the removal of all doubt, Parliament passed the Lord Chancellor (Tenure of Office and Discharge of Ecclesiastical Functions) Act 1974, declaring that there was never any impediment to the appointment of a Roman Catholic. The Act nevertheless provided that, if a Roman Catholic were appointed to the office, then the Sovereign may temporarily transfer the Lord Chancellor's ecclesiastical functions to the Prime Minister or another minister. Under the Regency Act 1937, the Lord Chancellor is one of the five persons who participate in determining the capacity of the Sovereign to discharge his or her functions—the other individuals so empowered are the Sovereign's spouse, the Speaker of the House of Commons, the Lord Chief Justice of England and Wales and the Master of the Rolls. If any three or more of these individuals, based on evidence that, as required by statute, shall include evidence provided by physicians, determine and declare by an instrument in writing, lodged with the Privy Council, that the Sovereign suffers from a mental or physical infirmity that prevents him or her from personally discharging the duties of Head of State, the royal functions are transferred to a Regent, who discharges them in the name and on behalf of the monarch. The Lord Chancellor is also the Keeper of the Queen's Conscience. As such, the Lord Chancellor was once also the chief judge of the Court of Chancery in London, dispensing equity to soften the harshness of the law. The Lord Chancellor acts as the Visitor of many universities, colleges, schools, hospitals and other charitable organisations throughout the United Kingdom. When the rules of the organisation do not designate a Visitor or, when a vacancy in the office arises, the Sovereign serves as Visitor, but delegates the functions to the Lord Chancellor. Furthermore, some organisations explicitly provide that the Lord Chancellor is to act as Visitor; these bodies include St. George's Chapel, Windsor, the Royal Institution, Newcastle University and three colleges of the University of Oxford (namely St. Antony's College, Worcester College, and University College). The power to appoint members of certain organisations is vested in the Lord Chancellor. These organisations include the governing bodies of Harrow School, Rugby School and Charterhouse School. The Lord High Chancellor outranks all other Great Officers of State, with the exception of the Lord High Steward, which has generally been vacant since the 15th century. Under modern conventions, the office of Lord High Steward is only filled on the day of a new monarch's coronation; thus, at all other times, the Lord Chancellor remains the highest ranking Great Officer. The importance of the office is reflected by the Treason Act 1351, which makes it high treason to slay the Lord Chancellor. A Lord High Treasurer would be entitled to the same protection—but the office is now held in commission—as would a judge whilst actually in court, determining a case. The Lord Chancellor's position in the modern order of precedence is an extremely high one; generally being outranked only by the Royal Family and high ecclesiastics. In England, the Lord Chancellor precedes all non-royal individuals except the Archbishop of Canterbury. In Scotland, they precede all non-royal individuals except the Lord High Commissioner to the General Assembly of the Church of Scotland. Although Lord Chancellor "of Great Britain", they maintain a position in the order of precedence in Northern Ireland; there, they outrank all non-royal individuals with the exception of the Anglican and Roman Catholic Archbishops of Armagh, the Anglican and Roman Catholic Archbishops of Dublin and the Moderator of the Presbyterian Church in Ireland. Throughout the United Kingdom, the Lord Chancellor technically outranks the Prime Minister, although the latter generally possesses more power. The precedence of a Lord Keeper of the Great Seal is equivalent to that of a Lord Chancellor. The precedence of Lords Commissioners of the Great Seal is much lower (see United Kingdom order of precedence). The Lord Chancellor is entitled to an annual emolument of £227,736 and to an annual pension of £106,868. The Lord Chancellor's salary is higher than that of any other public official, including even the Prime Minister, although sometimes the officeholder may voluntarily decide to receive a reduced salary (recent holders have taken the salary of a Secretary of State). The Lord Chancellor, on formal state occasions such as the State Opening of Parliament, wears legal court dress consisting of a black silk velvet cutaway tailcoat with cloth covered buttons, waistcoat and breeches worn with white shirt, lace stock and cuffs, black silk stockings and cut-steel buckled patent court shoes. Over this is worn a black silk damask robe of state with a long train trimmed with gold lace and frogging, with a black silk 'wig bag' attached to the flap collar at the back. A full-bottomed wig is worn and, in the past, a black tricorne hat. When the Lord Chancellor sat in the Lords, they wore an undress version of court dress, consisting of the court dress but made of black superfine cloth rather than silk velvet, and over that a black silk robe with a train with the wig bag attached. The wig and tricorne was also worn. Now that the Lord Chancellor is appointed from the Commons rather than the Lords, they wear a normal business suit and only wear full ceremonial dress for state occasions. There is an unofficial precedent that Lord Chancellors that do not have a legal background do not get to wear a wig. Jack Straw (a qualified barrister) initially did not wear one but did so afterwards, as did his immediate successor, Kenneth Clarke (a barrister and Queen's Counsel); Chris Grayling, Michael Gove, and Liz Truss (none of whom have legal backgrounds) have not done so. The historic insignia of the Lord Chancellor is a purse containing the Great Seal and a Mace or staff of office. The Elizabethan play Sir Thomas More opens Scene II as follows: "Chelsea. A Room in More's House. A table being covered with a green carpet, a state cushion on it, and the Purse and Mace lying thereon, enter Sir Thomas More". In the early 21st century, the New Labour government viewed it as untenable that all three political functions (executive, legislative and judicial) should be continued in the historical office of Lord Chancellor. In the Government's view, this infringed Montesquieu's principle of separation of powers which declared that no person should have access to all of the three political functions. The Lord Chancellor could exercise all three powers, and some, such as Quinton Lord Hailsham, often did so. The Labour Government also took the view that these powers were inconsistent with the European Convention on Human Rights. In a challenge, the Strasbourg Court held that having a politician sitting in judgment in a court was a breach of any litigants' right to a fair trial. However, proposals by the Blair Government simply to abolish the office met with opposition from those who felt that such an official was necessary to speak on the judiciary's behalf in Cabinet, as well as from many who opposed the sudden abolition of such an ancient office. In 2003, Tony Blair chose his close friend and former flatmate Lord Falconer to be Lord Chancellor and Secretary of State for Constitutional Affairs. At the same time, he announced his intention to abolish the office of Lord Chancellor and to make many other constitutional reforms. After much surprise and confusion, it became clear that the ancient office of Lord Chancellor could not be abolished without an Act of Parliament. Thus Lord Falconer duly appeared the following day in the House of Lords to carry out his duties from the Woolsack. The Lord Chancellor's Department was, however, renamed the Department for Constitutional Affairs. Jack Straw was the first commoner to be appointed as Lord Chancellor since 1578. In January 2004, the Department of Constitutional Affairs published a concordat, outlining the division of authority between Lord Chancellor and Lord Chief Justice and which was intended as the basis of reform. The Government introduced the Constitutional Reform Bill in the House of Lords in February 2004. The Bill sought to abolish the office of Lord Chancellor, and to transfer its functions to other officials: legislative functions to a Speaker of the House of Lords, executive functions to the Secretary of State for Constitutional Affairs and judicial functions to the Lord Chief Justice. The Bill also made other constitutional reforms, such as transferring the judicial duties of the House of Lords to a Supreme Court. However, unlike the responsibilities of other Secretaries of State, which can be transferred from one department to another by an order-in-council, several functions of the Lord Chancellor are linked to the office of Lord Chancellor as a matter of statute law. Those "protected functions" of the Lord Chancellor can only be transferred to other ministers by Act of Parliament. As a consequence, it became clear that it was extremely difficult to simply "abolish" the office of Lord Chancellor. In March 2004, however, the Lords upset the Government's plans by sending the Bill to a Select Committee. Although initially seen as a move to kill the Bill, the Government and HM Opposition agreed to permit the Bill to proceed through the parliamentary process, subject to any amendments made by the Committee. On 13 July 2004, the House amended the Constitutional Reform Bill such that the title of Lord Chancellor would be retained, although the Government's other proposed reforms were left intact. Then, in November 2004, the Government introduced an amendment in the Lords which wholly removed references to the Secretary of State for Constitutional Affairs, changing them to ones about the Lord Chancellor, with the positions of Secretary of State and Lord Chancellor envisaged as being held by the same person. The final Constitutional Reform Act received Royal Assent on 24 March 2005 and the major transfers of the historical functions of the Lord Chancellor to others (such as the Lord Chief Justice and Lord Speaker) were complete by mid-2006. However the Lord Chancellor and Secretary of State for Constitutional Affairs remained a member of the Prime Minister's Cabinet, retaining most of the office's original statutory functions. In May 2007, the Department of Constitutional Affairs was abolished and its functions were transferred to a newly created Ministry of Justice which also took charge of certain responsibilities transferred from the Home Office. Lord Falconer, retained the title, salary and office of Lord Chancellor, as well as being created the inaugural Secretary of State for Justice. Prior to Tony Blair's premiership, were a person not a peer to be appointed to the office of Lord Chancellor, they would be raised to the peerage upon appointment, though provision was made in 1539 for non-peers who are Great Officers of State to sit in between the benches in the House. With enactment of the Constitutional Reform Act, 2005 and the subsequent separation of the roles of Lord Chancellor and Speaker of the House of Lords, it is no longer necessary for the Lord Chancellor to be a peer or have a legal background. In June 2007, Jack Straw MP was appointed Lord Chancellor and Secretary of State for Justice, thus becoming the first Lord Chancellor to be a member of the Commons, rather than the House of Lords or its predecessor, the Curia Regis, since Christopher Hatton in 1578; however, both Straw and his immediate successor, Ken Clarke, were barristers: the first Justice Secretary without a legal background was Chris Grayling in 2012; in 2016, Liz Truss become the first woman to serve as Lord Chancellor. A fictional depiction of a Lord Chancellor occurs in Iolanthe, the frequently-revived comic opera by W. S. Gilbert and Arthur Sullivan. The Lord Chancellor is the central character in the work but is identified only by his title. The action concerns a group of fairies who become romantically involved with members of the House of Lords. The Lord Chancellor, who serves as guardian to wards of the Court of Chancery, is worried, because he has developed feelings for a ward of court. The character sings a patter song, "The Nightmare Song", about his mental anguish caused by unrequited love. In dialogue, the Lord Chancellor, in another reference to his romantic dilemma, complains "ah, my Lords, it is indeed painful to have to sit upon a Woolsack stuffed with such thorns as these!" William Rehnquist, late Chief Justice of the United States, was inspired to add four golden stripes to the sleeves of his judicial robes after seeing the costume of the Lord Chancellor in a production of Iolanthe. The current Chief Justice, John Roberts, has not continued the practice. A fictional Lord Chancellor also appears in Charles Dickens' novel Bleak House (also identified only by title), presiding over the interminable chancery case of Jarndyce and Jarndyce. Anthony Trollope's Palliser novels feature a number of references to fictitious Lord Chancellors. The Liberal Lord Weazeling holds the office in the Liberal governments of Mildmay and Gresham in Phineas Finn and Phineas Redux; the Conservative Lord Ramsden holds the position in the Duke of Omnium's coalition government in The Prime Minister. In Gresham's final government at the end of The Prime Minister, the former Liberal Attorney General, Sir Gregory Grogram, is finally given the position, which he had desired for some time. King Hilary and the Beggarman, a children's poem by A. A. Milne, relates the story of a fictional Lord High Chancellor, "Proud Lord Willoughby", who is dismissed for refusing to obey his king. In David Gurr's thriller A Woman Called Scylla, set in 1977, the main villain is an utterly ruthless and unscrupulous Lord Chancellor, who grossly abuses his many functions and powers in order to cover up his treason during the Second World War and as a stepping stone towards becoming Prime Minister. As the writer clearly states, this was not intended to refer to the actual holder of the office at the time of writing or at any other time. ^ The title can be pluralised 'Lord Chancellors' or 'Lords Chancellor'. The former is more common and is used for consistency throughout the article. See Gardner, B., (2001), A dictionary of modern legal usage, Oxford University Press, p. 538. ^ Barlow, Frank (1970). Edward the Confessor. Berkeley: University of California Press. p. 164. ISBN 0-520-01671-8. ^ Coredon, Christopher (2007). A Dictionary of Medieval Terms & Phrases (Reprint ed.). Woodbridge: D. S. Brewer. p. 66. ISBN 978-1-84384-138-8. ^ Equity and the Law of Trusts, Philip H. Pettit, Oxford University Press, 2012, page 5. ^ UK Parliament. Lord Chancellor (Tenure of Office and Discharge of Ecclesiastical Functions) Act 1974 as amended (see also enacted form), from legislation.gov.uk. ^ "Constitutional Reform Act 2005". Opsi.gov.uk. 12 October 2015. Retrieved 17 July 2016. ^ In his memoirs John Simon (Lord Chancellor 1940–1945) writes "It is not constitutionally necessary that the Lord Chancellor should be a Peer (Sir Thomas More was not, for one), but this is practically inevitable, for otherwise he would be limited to the formal business of presiding and "putting the Question" and be unable to take the smallest part in debate. The theory is that the Woolsack itself, and, I suppose, the space immediately in front of it, do not form part of the debating floor, and that is the reason why, when the Lord Chancellor takes part in any discussion – even when only moving the reading of a Bill – he steps nimbly to the left and thus speaks while standing on what is in the full sense Lords' territory." John Simon Retrospect: The Memoirs of the Rt Hon Viscount Simon GCSI GCVO (London; Hutchinson, 1952), page 255. ^ Chisholm, Hugh, ed. (1911). "Hatton, Sir Christopher" . Encyclopædia Britannica. 13 (11th ed.). Cambridge University Press. p. 63. ^ "Constitutional continuity: Jack Straw speech at the London School of Economics". 3 March 2009. Archived from the original on 13 March 2009. Retrieved 5 March 2009. Campbell, John (1878), Lives of the Lord Chancellors and Keepers of the Great Seal of England From the Earliest Times Till the Reign of Queen Victoria, 7th ed. London: John Murray. Chisholm, Hugh, ed. (1911). "Lord High Chancellor" . Encyclopædia Britannica. 17 (11th ed.). Cambridge University Press. p. 3. Wikimedia Commons has media related to Lord Chancellors. This page was last edited on 1 April 2019, at 11:03 (UTC).